ust download LYF Jio F61F flash file and tool from below download section and flash stock rom as shown in tutorial. LYF Jio F61F firmware [Flash File] is 100% working and tested by our-self, so no need to worry about it. Flashing firmware on LYF Jio F61F phone is 100% safe and it will help you to unbrick your device again. Jio LYF F61F is powered by 1.2GHz dual-core SPRD 9820A/QC8905 processor and it comes with 512MB of RAM. Jio phone is a SPD chipset based mobile, so we can use any SPD firmware flashing tool like “DownloadResearch Tool” or “UpgradeDownload tool” . Here in this flashing method we are going to use SPD flash tool “UpgradeDownload tool” to flash Jio LYF F61F firmware. Flashing firmware will help to remove all issues of the device. Unlock Jio LYF F61F pin lock, SIM Lock etc. Install rom on Jio LYF F61F to unbrick it again. Fix all software related issues on Jio LYF F61F mobile. Reapir IMEI number or null IMEI problem on Jio phone LYF F61F. Solve network issue on Jio LYF F61F mobile. Reboot problem fix by flash rom on Jio LYF F61F mobile. These are some most common issues about Jio LYF F61F mobile, which can be fix by flashing official firmware on Jio LYF F61F mobile. Now let’s start the Jio LYF F61F firmware flashing procedure. But before that prepare all the pre-requirements properly. Instructions To Flash Jio LYF F61F Firmware or Official ROM. 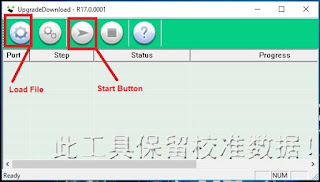 Hit on “START” button to start Jio LYF F61F stock ROM flashing process. Next, press & Hold centre Key [OK Button] and attach USB cable at the same time. USB driver installation will be start on pc and will take few minutes to install properly. 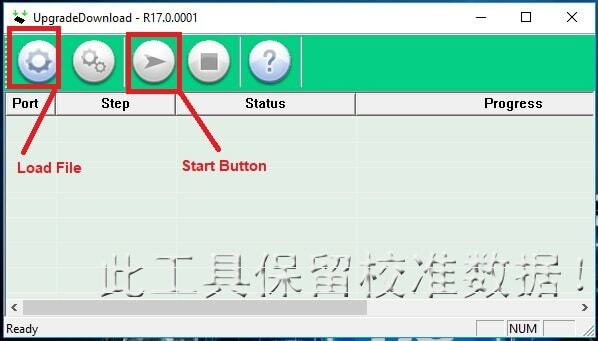 Once the drivers installed, flashing process will start and you will see the complete process bar in tool’s status bar. End of the successful flashing, you can see “Success” message on the tool. Unplug the device from pc and setup the device again. Congratulations, you have successfully installed Jio LYF F61F flash file or ROM on the device. 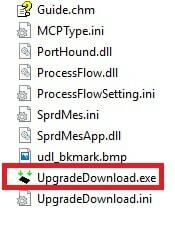 Here in this flashing guide we used “Upgrade download” tool to flash rom, if you want you can also use “ResearchDownload” tool. This is all about “how to flash LYF Jio F61F mobile easily?” Follow the above instructions and flash rom on Jio LYF F61F to fix all software related issues.